I cling onto memories, snapshots of my life and when I revisit something that stirs old memories it gets me thinking. 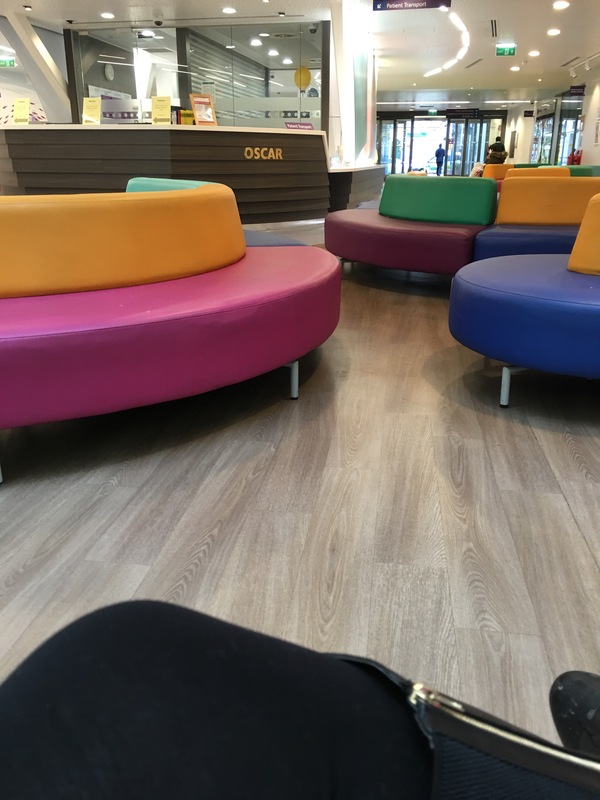 These sofas I have sat on hundreds of times, if you’re a regular at GOSH you will recognise them. I’ve sat on these patiently waiting for my little fighter to come out of theatre, I’ve sat here with my phone ringing with the cries of a desperate nurse telling me that again, Ava has stopped breathing. But then I remember that we walked past these sofas for one last time just before we finally got to take her home. I see lots of poorly children daily, I see families starting the same journey I’m going through and my heart breaks for them. Then there are the other parents I can’t help but envy. 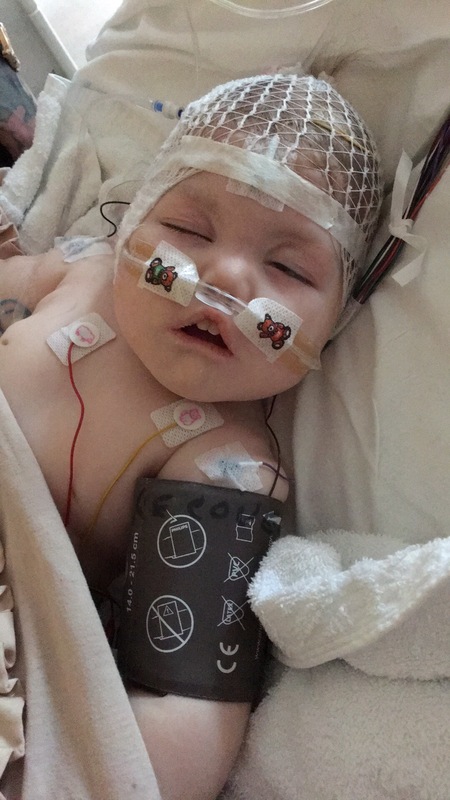 Their child was born with an illness, a condition that can be fixed! And this, the here and now of machines and doctors, in time, will pass. This will be a bump in the road. Many children come here to be fixed and that’s that, they need nothing more. But my daughter can’t be fixed, I wish she could be but there is no “fix” for what she has, it’s management. It’s these long stays in hospital that we are enduring at the moment and, as always it’s the Unknown and it makes it incredibly hard and isolating. 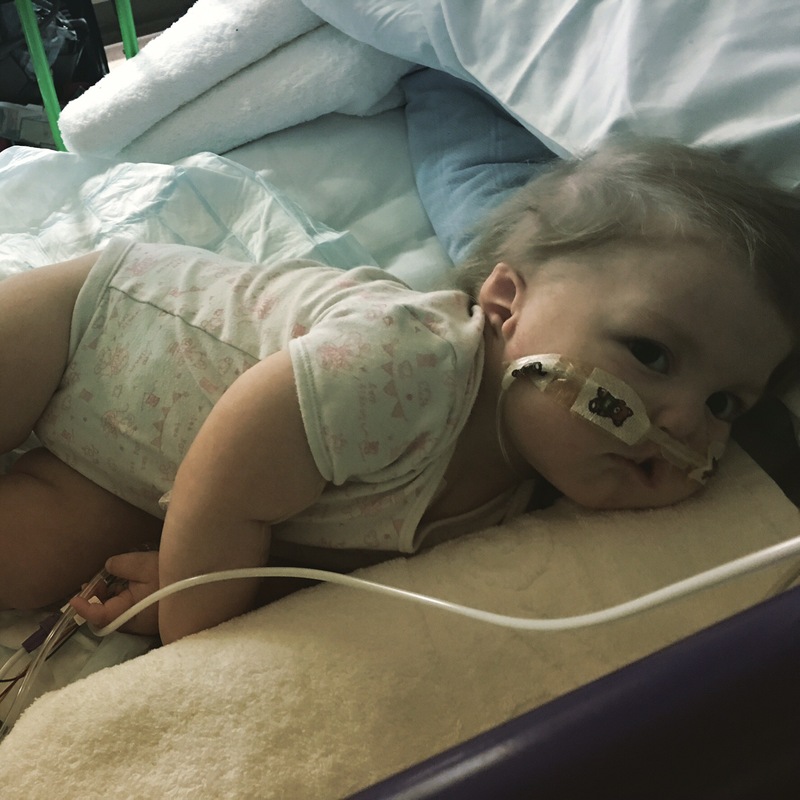 In the last week Ava has been in PICU and every single day since then she has needed bagging, which for the non medical people basically means rescue breaths, so they’ve had to pop a mask and ‘bag’ on her face to push oxygen directly to her lungs. It’s made me see how desensitised I’ve become to the medical world, when that happens now, I simply ignore and get on with it, – is that right?! I mean, I’ve stood in intensive care where some of the sickest children in the world lay and it all feels normal to me?… Although it does infact feel normal to me in the same notion it gets me upset because it is exactly that me NORMAL. And my normal is thoroughly exhausting. She has surgery booked for Wednesday for bilateral Ureteric implantation … This should stop all her septic episodes she’s been getting but who knows… All I know is the recovery is going to be gruelling, and at 18 months old she’s almost had the same amount of surgeries as her monthly age. That’s how many times I’ve had to hand her over to surgeons never knowing if I’ll get her back…so we continue, into this battle blindly as before and all we can do is hope.